SAN DIEGO, Calif. /California Newswire/ — Bank of Southern California, N.A. (OTC Pink: BCAL / OTCMKTS:BCAL) announced the promotion of Marie Crivello and Debbie Marshall to Senior Vice President. 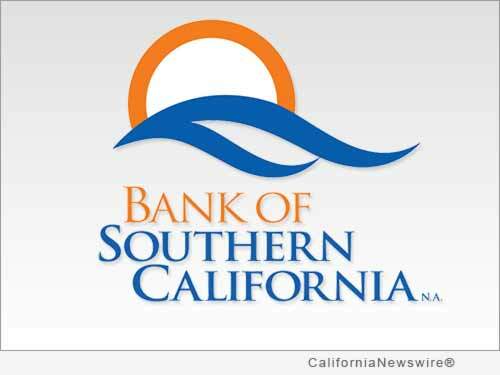 Ms. Crivello joined Bank of Southern California in 2012 as Vice President, Client Relationship Manager. She has over 16 years of banking and client relationship management experience. Ms. Marshall joined the bank in 2011 as Vice President, Deposit Operations, bringing over 30 years of banking, compliance, and risk management experience to the bank. Nathan Rogge, President and CEO of the Company, said, "I am pleased to recognize the contributions that both of these professionals have made to further the success of our company. Marie Crivello takes relationship banking to a new level with an unwavering commitment to providing the highest level of service to her clients. She has year-over-year been instrumental in helping the bank organically grow and has continued to be recognized as a top performing relationship manager." Added Rogge, "Debbie Marshall's role in regulatory compliance and branch operations has continued to grow over the last five years. She was a key contributor in the previous three bank acquisitions and held a primary role in ensuring the success of the bank's core systems conversion in 2015." A growing community business bank, established in 2001, Bank of Southern California, N.A., with headquarters in San Diego, Calif., is locally owned and managed and offers a wide range of financial products to individuals, professionals and small-to-mid sized businesses. The bank's solution-driven, relationship-based approach to banking provides accessibility to decision makers and enhances value through strong partnerships with their clients. The bank currently operates seven offices in San Diego and the Coachella Valley of Riverside County.